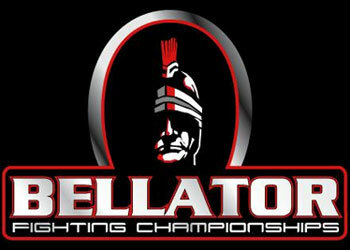 All of the fighters slated to participate in tomorrow night’s Bellator Fighting Championships 19 event tipped the scales today inside the Verizon Theater in Grand Prairie, Texas. Bellator 19 will be broadcast Thursday on FOX Sports Net. Daniel Pineda (144.8 lbs.) versus Chas Skelly (145.2) – at 145 lbs. Brandon McDowell (169 lbs.) versus Joe Christopher (170.6) – at 170 lbs. Jared Lopez (135.2 lbs.) versus Johnny Bedford (135.6 lbs.) – at 135 lbs. Donyiell Winrow (185 lbs.) versus Josh Smith (185.2 lbs.) – at 185 lbs. Aaron Wise (136 lbs.) versus Douglas Frey (135.8 lbs.) – at 135 lbs. Diego Saraiva (145.8 lbs.) versus Joe Soto (145.8 lbs) – at 145 lbs. Ryan Thomas (170.6 lbs.) versus Ben Askren (170.4 lbs) – at 170 lbs. Steve Carl (170.6 lbs.) versus Dan Hornbuckle (170 lbs.) – at 170 lbs. Ty Lee (256.8 lbs.) versus Scott Barrett (262.8 lbs.) – at 265 lbs.